Togo international Emmanuel Adebayor has put pen to paper on a fresh three year deal with Turkish club Istanbul Basaksehir. The former Arsenal and Manchester City striker joined the club during the second half of last season, where he contributed six goals in 12 league outings. “I’m very excited to announce that we’ll be extending our journey together. Special thanks to everyone that is part of the Istanbul Basaksehir,” Adebayor wrote on his official Twitter account. The 33-year-old was without a club for over six months, but managed to secure a deal with Basaksehir following his impressive showing for Togo at the African Cup of Nations. Adebayor had a bright career during his time at Arsenal where he notched 62 goals between 2005 and 2009. He has since struggled to reach those heights barring an impressive loan spell with Tottenham Hotspur in the 2011-12 season.Following his release from White Hart Lane in 2015, Adebayor tried to revive his Premier League career with Crystal Palace in the following year, but he could not make much of an impression with just a solitary goal in 15 appearances. 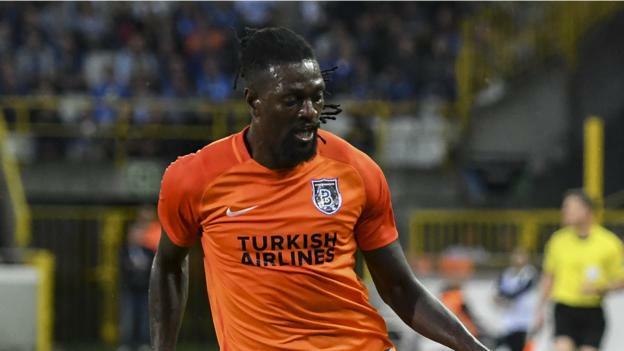 With Basaksehir, Adebayor appears to have found himself a new lifeline after he nearly guided them to their maiden league title last season. He has also gone slimmer and fitter during his period in Istanbul, and the club were a tad unlucky not to qualify for the Champions League proper earlier this week. Basaksehir lost out to Sevilla by a 4-3 aggregate scoreline in the playoff, but they could have so easily reached the group stage, had they managed to convert the late chances that were up for grabs. Nevertheless, the Turkish outfit will look to make progress in the Europa League after they were drawn against Braga, Ludogorets Razgrad and Hoffenheim – all of whom are within the same level of experience of competition.